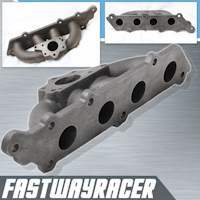 Brand new Honda D15/D16 ram horn turbo manifold. 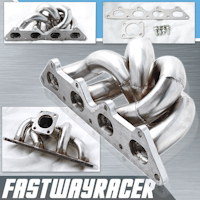 The turbo manifold is made of high quality T321 stainless steel and fully TIG weld. 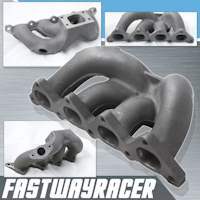 It has direct bolt on design, 3.1MM wall thickness, ram horn design for less turbo lag and quick throttle response. 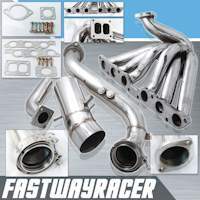 It is good for huge horsepower increase along with improved more air flow, gain 10-15HP. 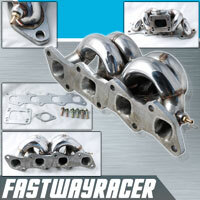 T3 turbo flange fits T3 or T3/T4 turbo chargers, and fits 35MM/38MM turbo wastegates. We offer 6 months warranty!